Heat oil in a non-stick pan, add curry leaves and onions, mix and sauté for 4-5 minutes. Add garlic and ginger and mix well. Add crushed peppercorns and ¼ cup water and mix. Add red chilli powder, coriander powder, fennel powder, salt and green chillies and mix well. 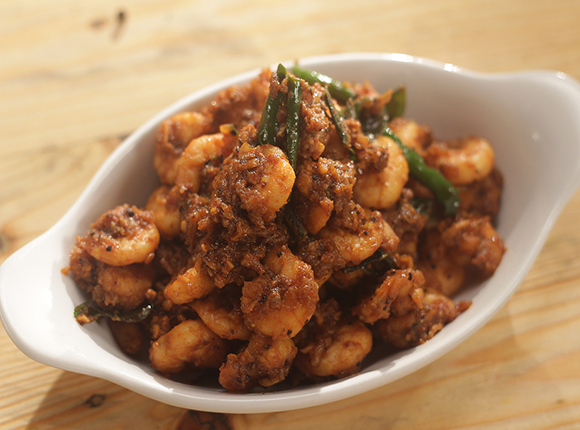 Add prawns, mix well and cook on high heat for 5-6 minutes or till prawns are done.